Group of eight (8) Native American items, including Inuit, 8 items total. 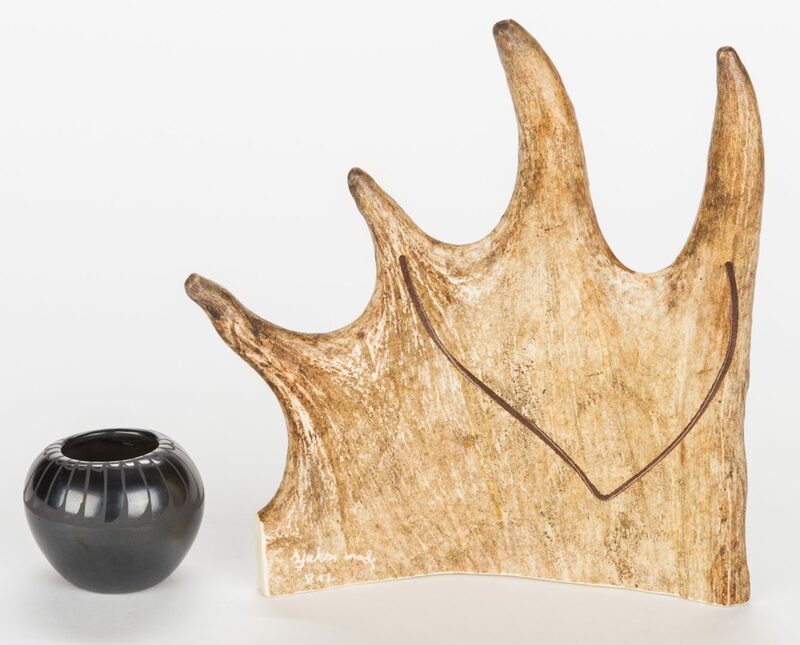 1st item: Alaskan moose antler with carved design of moose walking in forest. 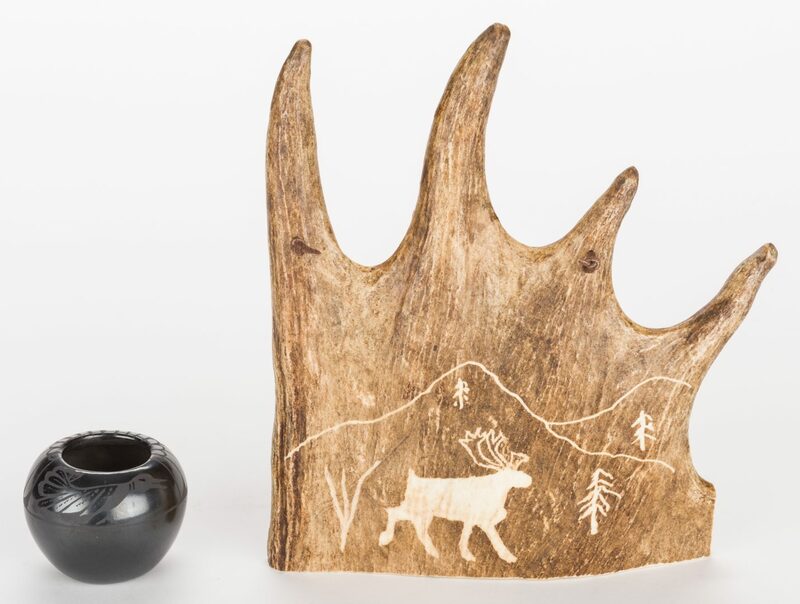 Signed Yukon Made, with other illegible symbols, underside of antler. 10 5/8" H x 8 3/4" W. 20th century. 2nd item: Inuit carved hardstone seal. 7" L. 20th century. 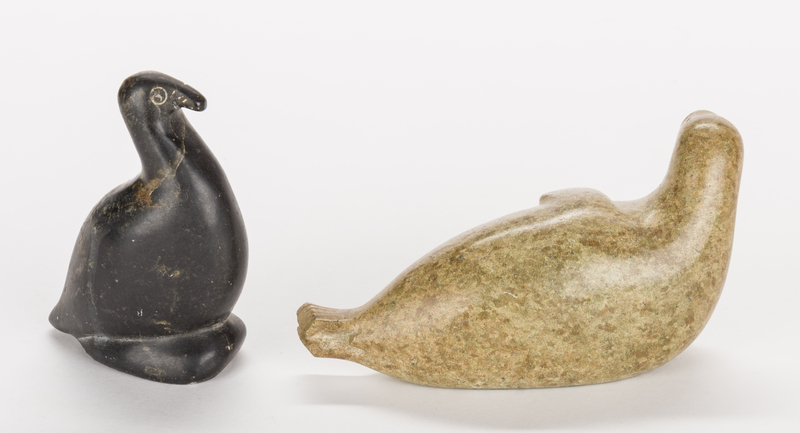 3rd item: Inuit carved hardstone bird. 5" H x 3 1/2" W. 20th century. 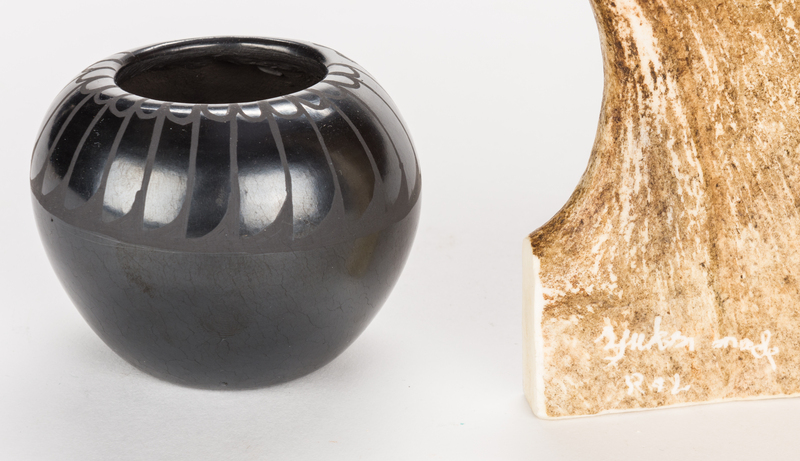 4th item: San Ildefanso blackware pot with feather and bird design to rim. 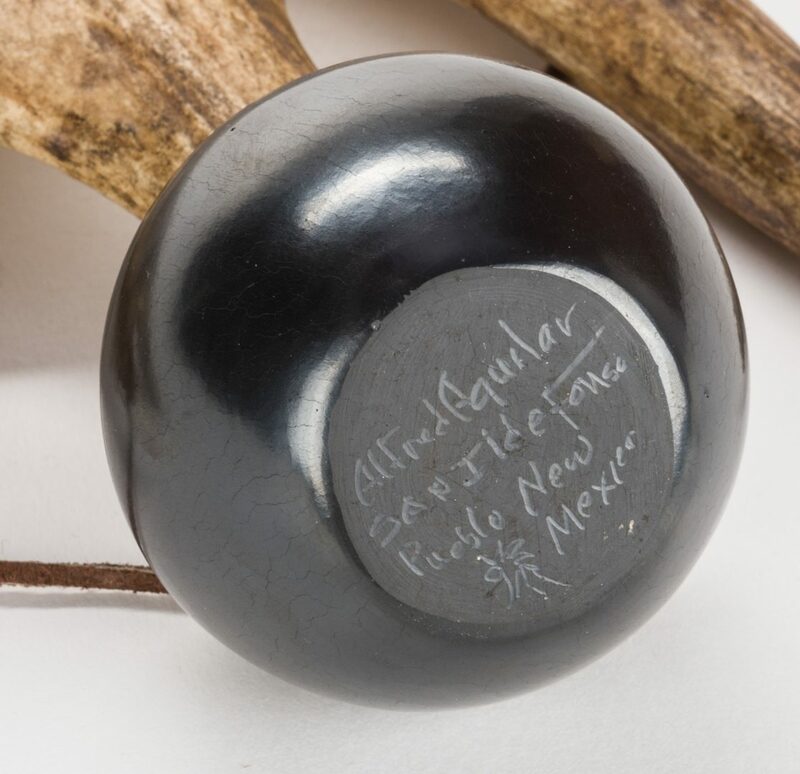 signed on the base, Alfred Aquilar, San Ildeganso Pueblo, New Mexico. 2 3/4" H x 3 1/4" dia. 20th century. 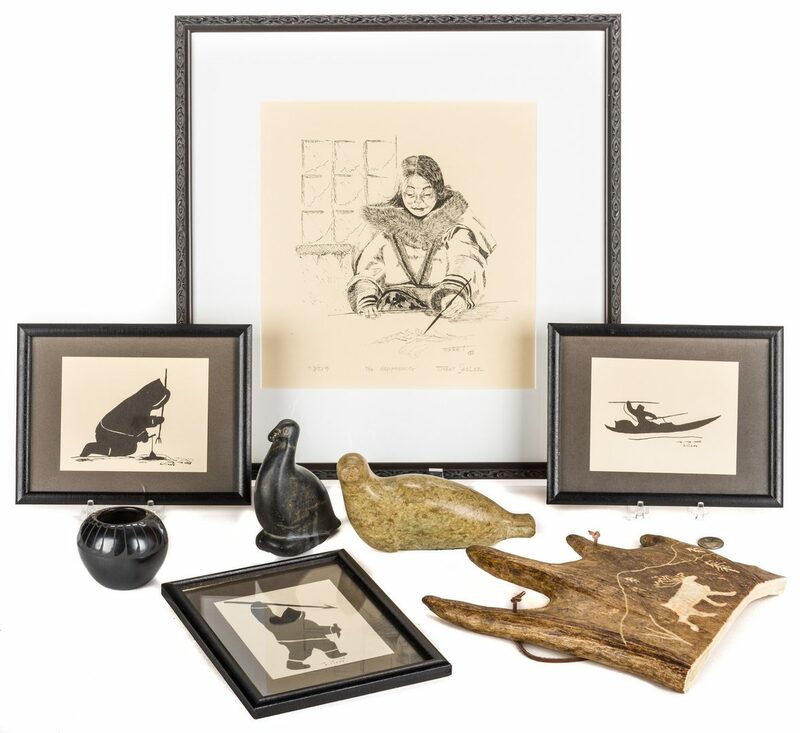 5th-7th items: Liliane Inuit silhouettes, circa 1960's, depicting Native American Inuit scenes. All housed in black wood frames. 6 3/4" H x 8 3/4" W. 8th item: Tisket Seslar print titled The Happening, numbered 93/219. 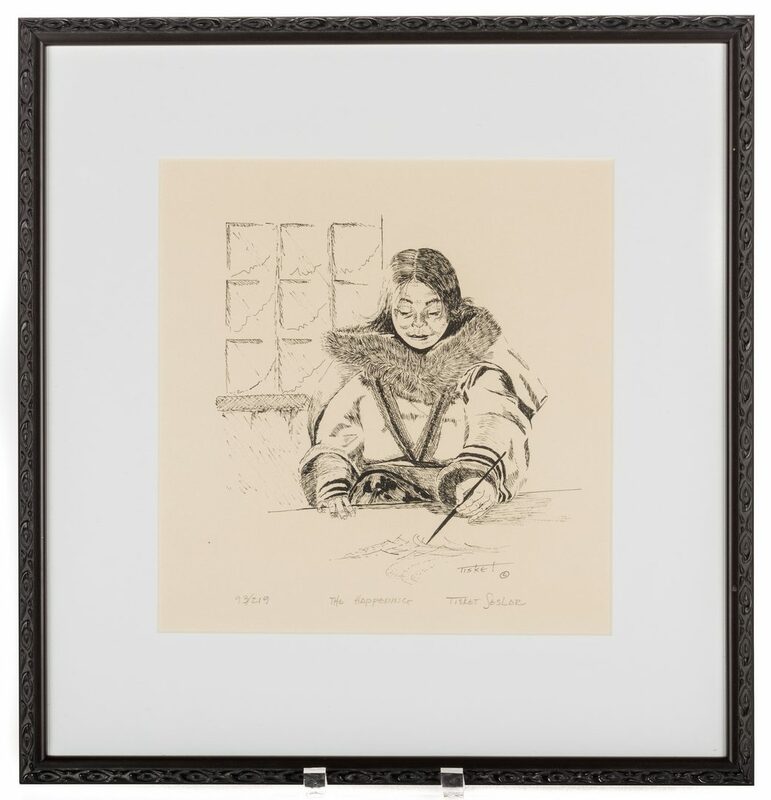 Pencil signed numbered and titled lower margin. Housed in a contempory black frame. Sight – 10 7/8" H x 10 1/4" W. Framed – 17 3/4" H x 16 3/4" W. 20th century. 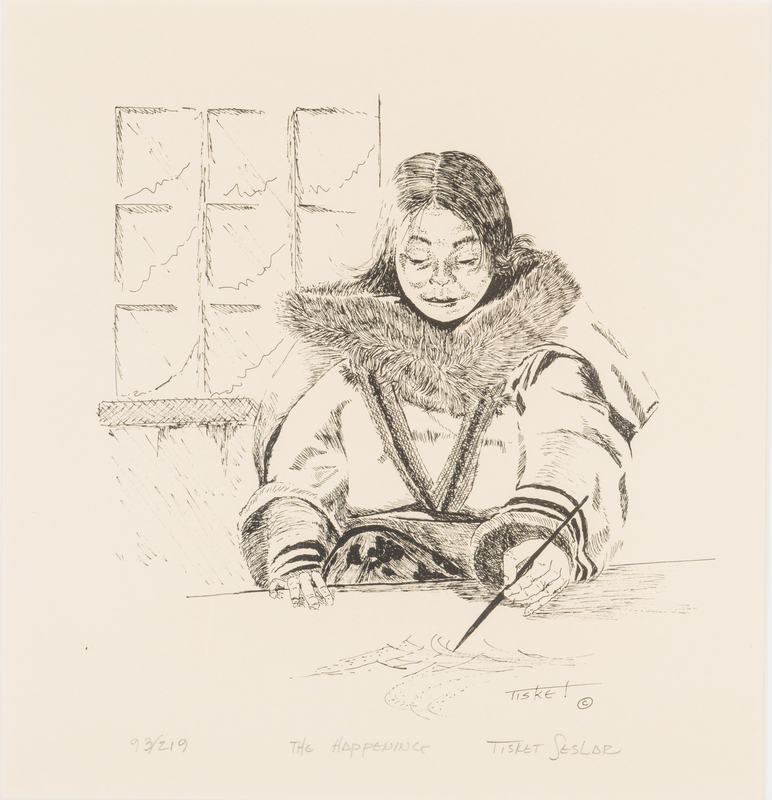 Note: Artist Tisket Seslar has resided in Juneau, Alaska since 1976. Primarily a self-taught artist, her current mediums include scratch board, pen & ink, dry pastel, and oil pastel. CONDITION: Hardstone items with general wear. Silhouette frames with minor wear. Other items very good condition.